Essendo gli ideatori del progetto specializzati nell’organizzazione di tour italiani di artisti internazionali, Hub Music Factory non può che continuare a seguire questa filosofia, scoprendo nuovi talenti, seguendone e curandone tutti gli aspetti, dalla promozione alla produzione, anticipando così le nuove tendenze musicali. Alcuni nomi: Alkaline Trio, The Ataris, Editors, Faith No More, Foo Fighters, Flogging Molly, Fugazi, Funeral For A Friend, The Gaslight Anthem, Gogol Bordello, Good Charlotte, Good Riddance, Iggy and The Stooges, Iron Maiden, The Hives, Juliette & The Licks, Lagwagon, Limp Bizkit, Millencolin, My Chemical Romance, Nofx, The Offspring, Pennywise, Ska-P, Social Distortion, Turbonegro, Yeah Yeah Yeah’s. Il nostro obiettivo è quello di fornire a tutte le band e al pubblico il luogo più adatto alla propria musica e la miglior accoglienza possibile attraverso varie e differenti soluzioni. Hub Music Factory produce inoltre eventi per aziende, comuni, società di comunicazione fino a festival musicali (Deconstruction Tour, Rock Sound Tuborg Festival, Rock In Idro). In particolare siamo molto attenti alla creazione di sinergie tra sponsor ed eventi, con un occhio di riguardo verso gli sport da tavola come lo skateboarding e lo snowboarding. La comunicazione è alla base del nostro lavoro: riusciamo così a garantire un’ottima promozione per tutti i nostri concerti ed eventi. Hub Music Factory is a booking agency that successfully works in the music industry, booking tours and organising events all over Italy. 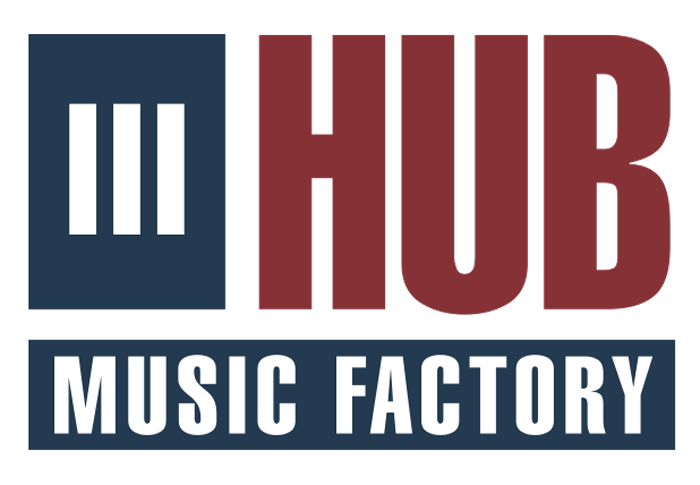 Given that the project creators are learned in booking Italian legs of international artists’ tours, Hub Music Factory keeps on following the same principles that inspire them since the beginning, that is searching for new talents, taking care of all the aspects, from promotion to production, in order to anticipate new musical trends. Some bands we’ve worked with: Alkaline Trio, The Ataris, Editors, Faith No More, Foo Fighters, Flogging Molly, Fugazi, Funeral For A Friend, The Gaslight Anthem, Gogol Bordello, Good Charlotte, Good Riddance, Iggy and The Stooges, Iron Maiden, The Hives, Juliette & The Licks, Lagwagon, Limp Bizkit, Millencolin, My Chemical Romance, Nofx, The Offspring, Pennywise, Ska-P, Social Distortion, Turbonegro, Yeah Yeah Yeah’s. Our goal is to give the bands and the audience the best possible location in which to perform and enjoy music, and the best welcoming through several and diverse solutions. Also, Hub Music Factory organises events for firms, municipalities, communication companies, including music festivals (Deconstruction Tour, Rock Sound Tuborg festival, Rock in Idro). We especially focus on creating synergies through sponsors and events, keeping an eye out for ‘alternative’ sports like skateboarding and snowboarding. Communication is the foundation of our business: we are then able to guarantee the best promotion options for all our shows and events.